For your self-empowerment and journey to complete womb wellness. Talk on herbs for womb wellness. The Zapotec Muxes (transgenders) of Oaxaca – Documentaries. 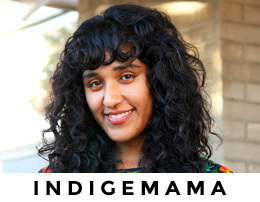 Rebozo video for womb adjusting by Indigemama. How to weave. Projects, tutorials, South American culture. Bilingual. Blog, podcast and teaching backstrap loom weaving. The technology of the traditional backstrap loom. All about the rebozo (en Espanol). Video: how to tie a faja. Blog on Fertility, foods and natural living. Video interview on conscious birthing. Video on castor packs for fertility and womb wellness. Most comprehensive kefir site. High-quality kefir cultures for sale, recipes and more. Endometriosis foods and smoothie recipe. Vaginal steam bath video by Indigemama. How mind heals body, explained in a cool Scottish accent. Get hypnotized with this twilight zone-like video. This is your brain on womb massage. Book on creating healthy children naturally. Castor oil pack video by Indigemama. Written instructions for castor packs. Organic Moontime Pads by Luna Sangre. Book on menopause by Susun Weed. Narratives by Panquetzani from 2013. Support groups, breastfeeding events, Breastfeeding Resource Directory and more.